Howdy! 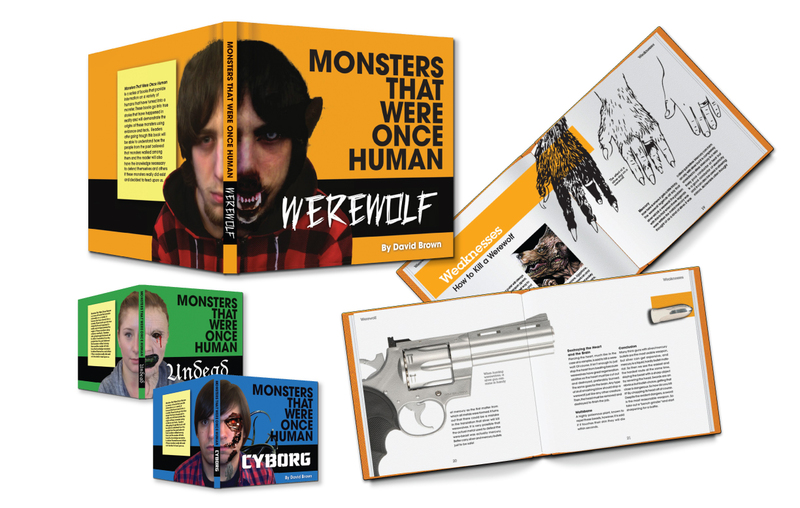 I'm a Toronto-based graphic designer with about 7 years of experience working in various mediums of graphic design. When I design I take many things into consideration. I always aim to communicate to the right crowd of people for the kind of company I'm doing work for. I believe that every design element deserves to have purpose - much like how every brand deserves to be unique. I'm a graduate from the graphic design program at Humber College. I also originate from New Brunswick so I'm bilingual which really helps me when working on packaging design projects. Let's meet up at a Second Cup for a Frozen Hot Chocolate so we can talk about how I can creatively help your business succeed. Nyan Sushi is a sushi restaurant targeting a younger audience. Enhanced Living produces products for the visually impaired. Hamilton Street Railway branding for their busses. Bag designs for Target for when they came to Canada. Packaging Design for DCA which is a possible drug that can cure cancer with 6 tablets. Packaging Designs for Shopper's Drug Mart store brand bathroom paper. 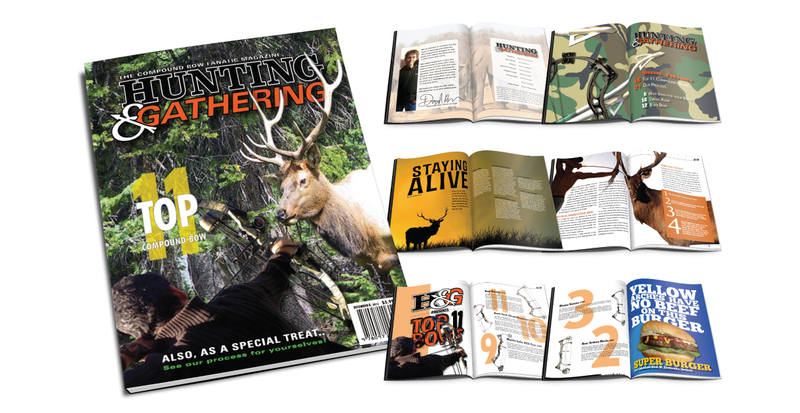 Magazine Design for Hunting and Gathering which is a magazine for strategic bow hunters. 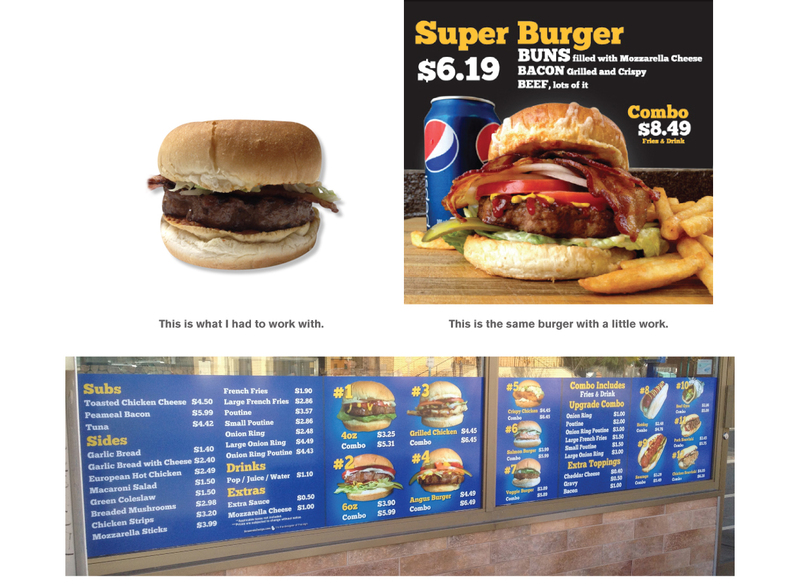 Food stylist and signage design for Super Burger on Lakeshore. Just look at how mouth watering those burgers are.